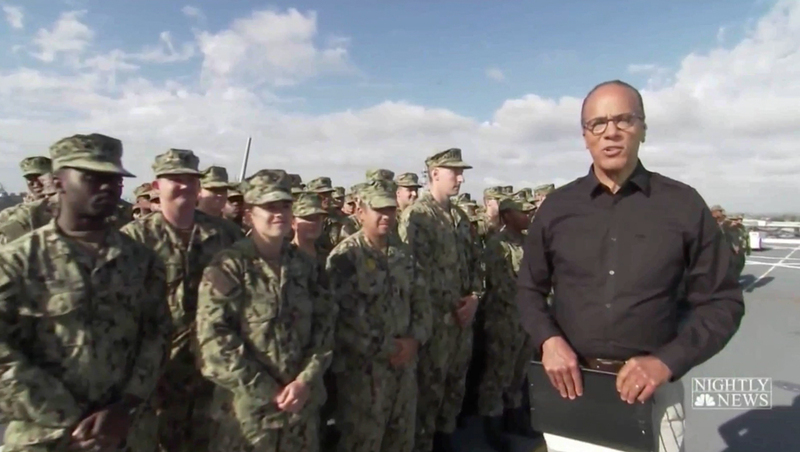 Despite a brief hiatus due to Hurricane Michael coverage, “NBC Nightly News” wrapped up its Across America tour Friday, Oct. 12, 2018 in San Diego — with anchor Lester Holt originating from over water. 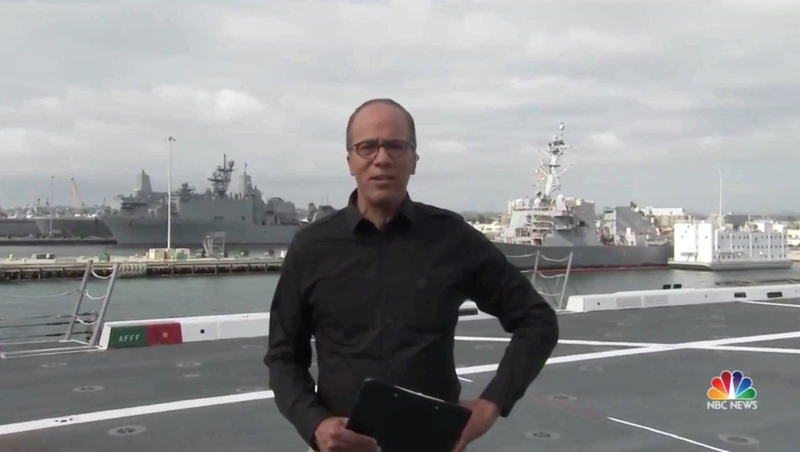 Holt anchored most of Friday’s ‘Nightly’ from the deck of the USS Portland, a San Antonio-class amphibious transport dock. 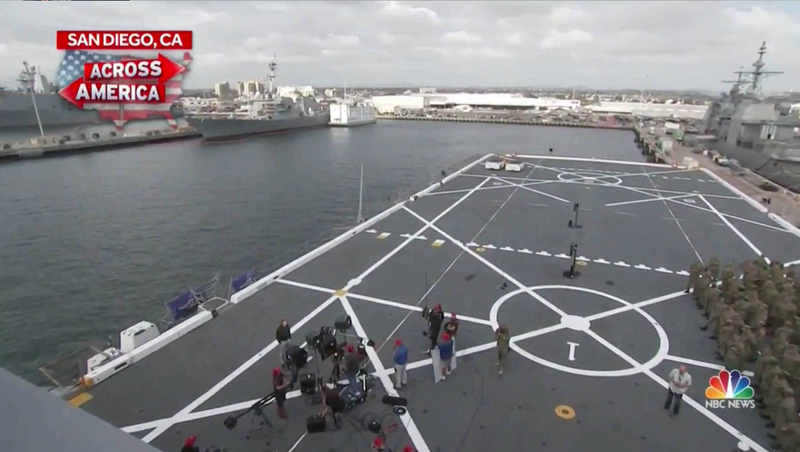 According to NBC, the action of the deck was captured by a Steadicam, alongside a ped and teleprompter. A mini jib and a handheld were placed three decks up. San Diego is home to the U.S.’s Pacific fleet — with Portland being one of its newest members. 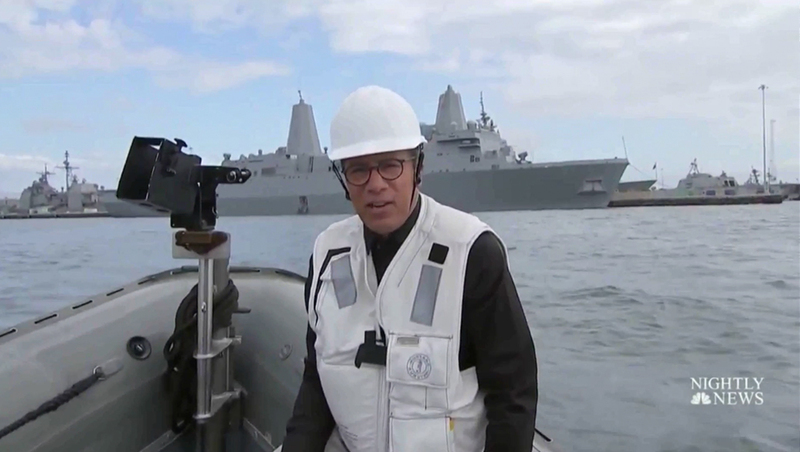 For one block of the newscast, Holt boarded a smaller boat and introduced a story on the crew wearing protective hat and vest with the USS Portland in the background captured by a wireless camera. A camera on the Portland was also used to show a reverse shot of Holt in the boat. Aerial imagery was captured from a Navy Seahawk circling above. 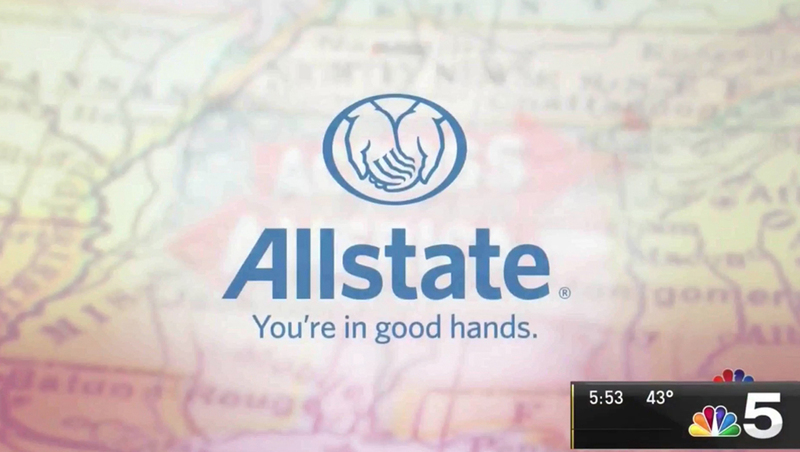 Friday’s broadcast also incorporated ‘named sponsor’ Allstate, which got a fullscreen graphic with voiceover from the ‘Nightly’ announcer followed by a standard commercial featuring Dennis Haysbert, who provides the voiceover for NBC’s ‘Meet the Press.’ In the Chicago market, NBC O&O WMAQ inadvertently added its local time and temp bug during the clip. For the close, Holt appeared in front of a small crowd of service men and women. A small band played a few bars at the start of the last block, but the newscast appeared to run tight, allowing only for a minuscule clip of music after Holt signed off. 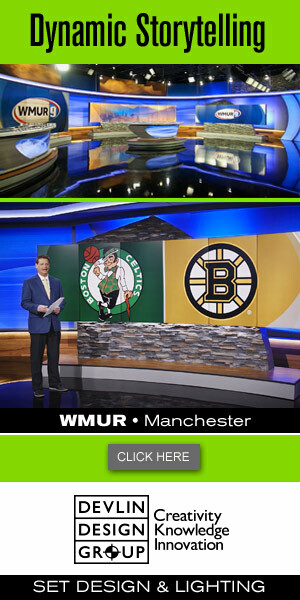 Correction: An earlier version of this story misidentified some of the camera equipment used to produce this edition of “Nightly News.” The story has been updated with correct and clarifying information.